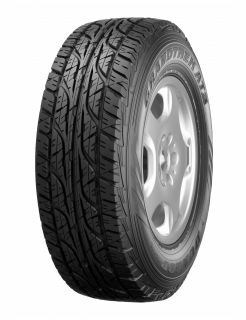 As the Grandtrek AT3 is an all terrain 4x4 tyre, it can comfortably handle on and off-road conditions. The straight centre rib included in the tread helps to deliver good high speed handling and stability. The flatter tread profile of the tyre ensures that pressure is evenly spread across the whole of the contact patch, which ensures even wear and longer tyre life. The 2 in 1 shoulder block pattern reduces tyre noise levels giving a quiet and comfortable ride and helps to maintain on and off-road traction.